You are here: American University University Library News Feature Fridays - Kenny Rogers, 20 Great Hits. 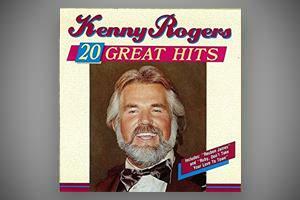 Feature Fridays Kenny Rogers, 20 Great Hits. Today I would like to feature Kenny Rogers, 20 Great Hits. This CD features 20 different songs dated before 1989. Each track allows the listener to move between country and pop songs for a unique listening experience. Kenny Rogers, a member of the country hall of fame is an 80-year-old country singer who was especially popular in the 1970s and 80s. He has more than 120 hit singles across various music genres. Interestingly, this CD does not feature any songs from his most popular album The Gambler, which was ranked as one of the “200 Most Influential Country Albums Ever”. In fact, many of Kenny’s number one songs are missing from this disc, such as “Lucille” and “Coward of the County.” However, this provides the listener a unique opportunity to hear other songs by Kenny. Each song has a special backstory behind it and gives the listener an insight into the history of the time. In “Ruby, Don’t Take Your Love to Town,” Kenny is talking about a paralyzed veteran of the Vietnam war whose wife gets all dressed up and goes out without him. In this it is not explicitly stated that the Vietnam War is what they are talking about but given its time of release, 1967, and quotes such as “crazy Asian war” it is widely assumed. As of 2017 Kenny Rogers is officially in retirement from touring, though he has stated the possibility of recording another studio album. If you are looking for more music like this be sure to check out She Rides Wild Horses and Grammy’s Greatest Country Moments, Vol. 1 from 1994 at the AU Music Library.